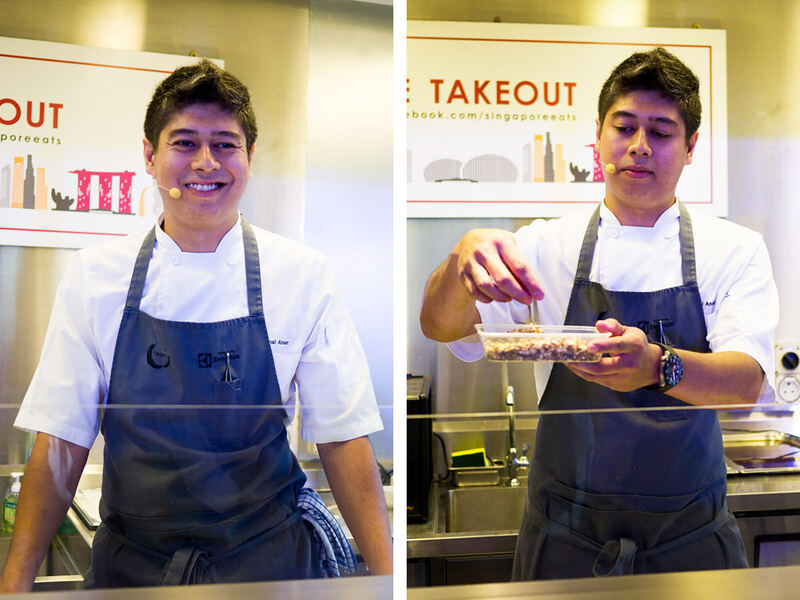 Singapore Takeout is part of the Singapore International Culinary Exchange (SPICE) – an initiative that aims to showcase Singapore’s cuisine, culinary talent and food products to a global audience. 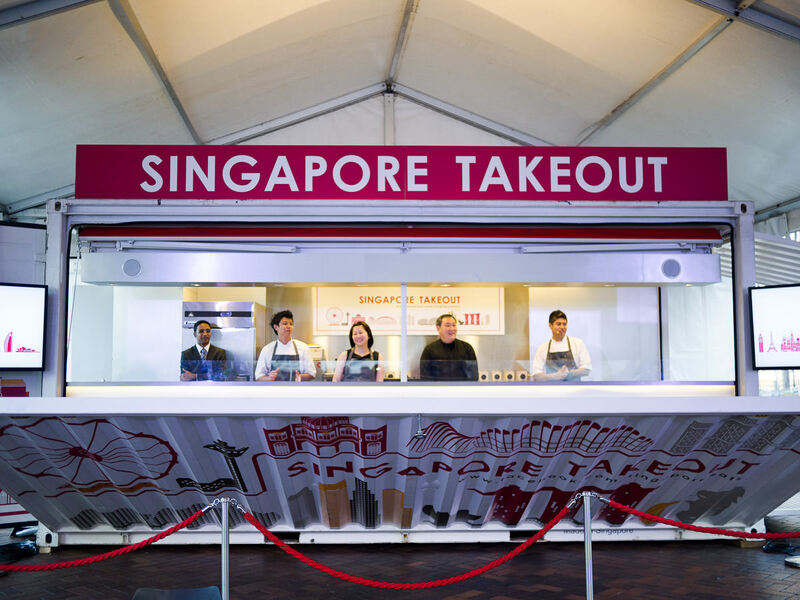 The Singapore Takeout mobile kitchen has been travelling around the world since June 2011, serving up Singapore-inspired culinary delights at dining events in London, Paris, Moscow, New York, Hong Kong, Shanghai, Delhi, Dubai and last of all, this three-day stopover in Sydney. 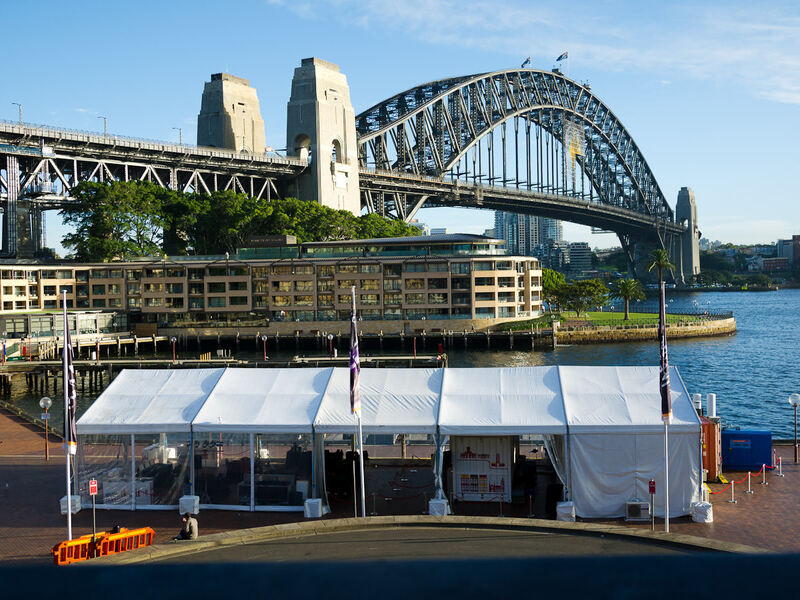 The kitchen’s been set up at Campbell’s Cove at The Rocks, with gorgeous views of Sydney Harbour. 22 bloggers from across Australia – Sydney, Melbourne, Brisbane, Adelaide and Perth – are here for a bloggers-only dinner. I’m chuffed and proud to be representing Perth. It’s fun to catch up with blogger buddies as well as make new friends, putting faces to blogs and tweets. Singapore Takeout is part of a cheeky new marketing campaign designed to appeal to the often irreverent Australian sense of humour, challenging our current perceptions of Singapore and telling us (with a smile!) to “get lost” and find the real Singapore. 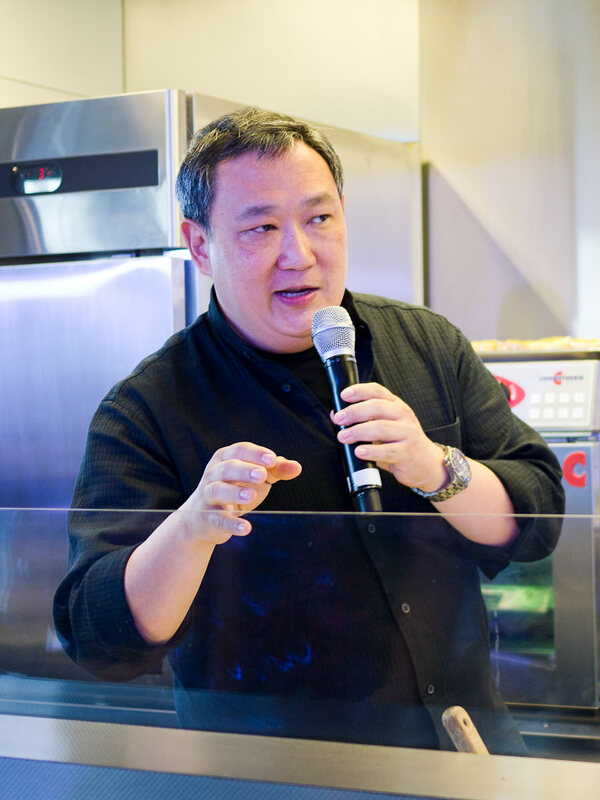 Tonight’s dinner will present both tributes and twists to several traditional and beloved dishes, reflecting the diversity of Singaporean cuisine. 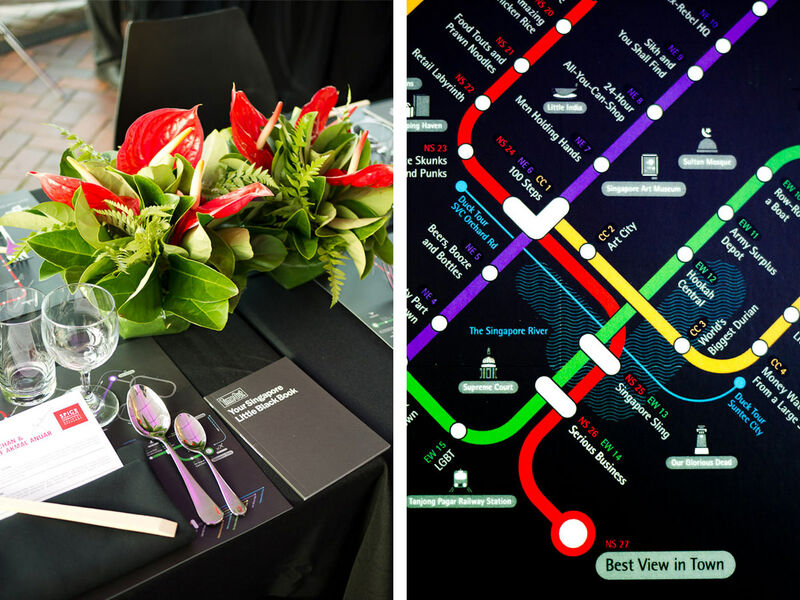 As the “get lost” campaign suggests – there’s so much more to Singaporean food than chilli crab, magnificent as it is. For the Sydney leg of the tour, Singapore Takeout is represented by Iggy’s Restaurant, one of Singapore’s most awarded fine dining restaurants, ranked 27th in the San Pellegrino World’s 50 Best Restaurants in 2011 (Sydney’s Quay Restaurant is 26th) and Asia’s No.1 restaurant in the Miele Guide 2011/2012. 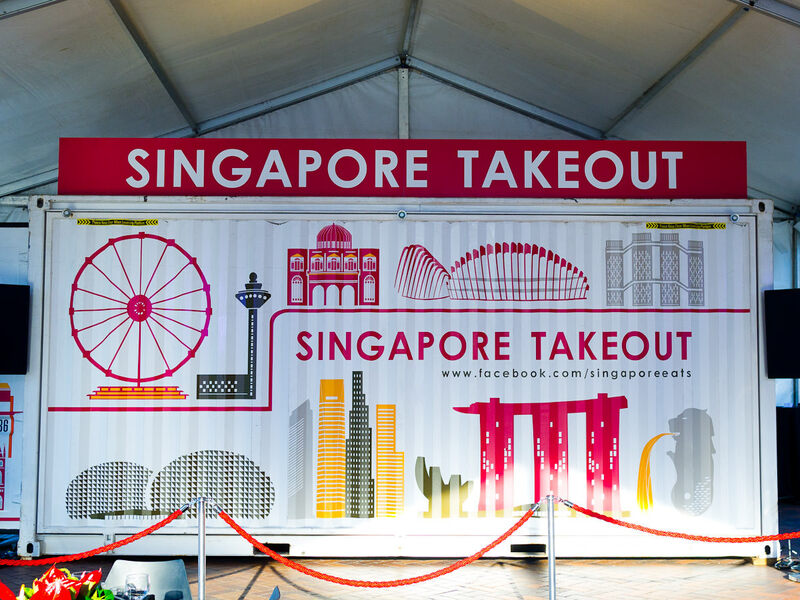 There’s an air of anticipation and excitement as we all focus on the Singapore Takeout sea container, which folds out to reveal the Iggy’s team and the travelling kitchen. Iggy’s Restaurant is named after its founder/owner, award-winning sommelier and restaurateur Ignatius “Iggy” Chan. With his Australian connections, Iggy’s the right bloke for the gig – he’s a good mate of chef Tetsuya Wakuda and has collaborated with Phillip Jones of Bass Phillip Wines to produce Iggy’s Pinot Noir and Iggy’s Reserve. 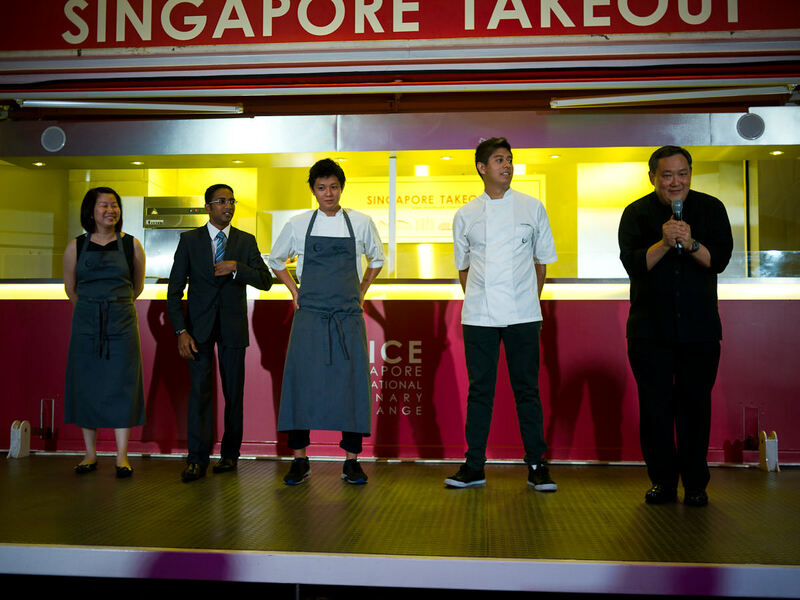 Iggy and Head Chef “AK” Akmal Anuar take us through a masterclass showing how Iggy’s version of nasi lemak is made. This classic dish with roots in Malay culture has been reinvented, carefully crafted by AK using the most modern of cooking tools, the Thermomix. 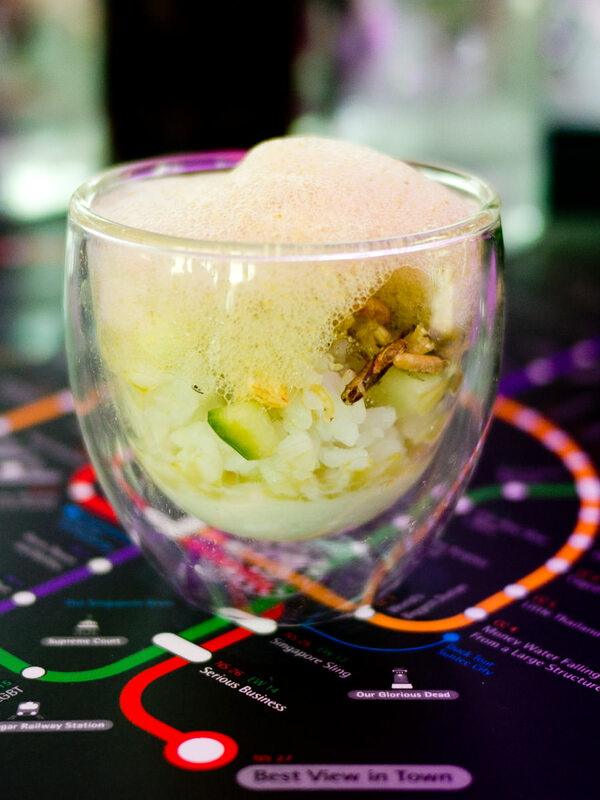 Iggy’s version includes a snapper mousse in place of otak-otak (spiced fish paste traditionally wrapped and grilled in banana leaf); a crunchy mix of cucumber, shirasu (Japanese baby sardines), shelled peanuts, deep-fried crispy wild rice and white rice; and a fragrant foam made with herbs, spices and coconut milk. Iggy’s nasi lemak is not served on a banana leaf, in a brown paper package or even a plate – it’s in a glass. On the bottom is the snapper mousse, ghost-white in stark contrast to otak-otak’s usual fiery colour. The deep-fried grains of rice, cucumber cubes and tiny fried fish give a pleasant crunch. I’m surprised how well the flavour of nasi lemak has been captured in this concoction, but I must admit to craving a bit of sambal, beef rendang or chicken curry on the side. 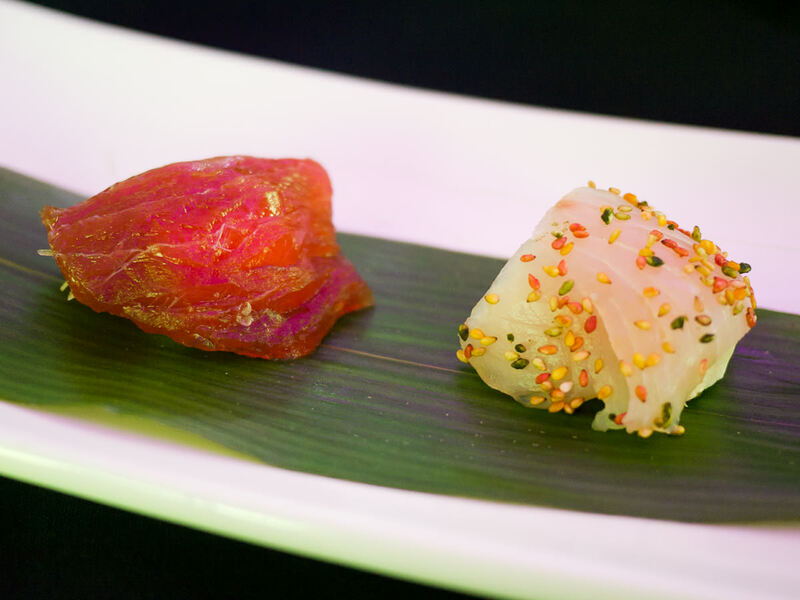 Next is Iggy’s variation of sushi, two perfect mouthfuls of raw fish, tuna and snapper, each wrapped around a spicy wasabi soy meringue. This sushi includes no rice, and Iggy grins and suggests this is a perfect dish for girls on low-carb diets. We chuckle – there are no such girls here tonight! The next course is cold capellini, a tribute to a dish eaten by many Singaporeans at Chinese New Year – yee sang, or raw fish salad. 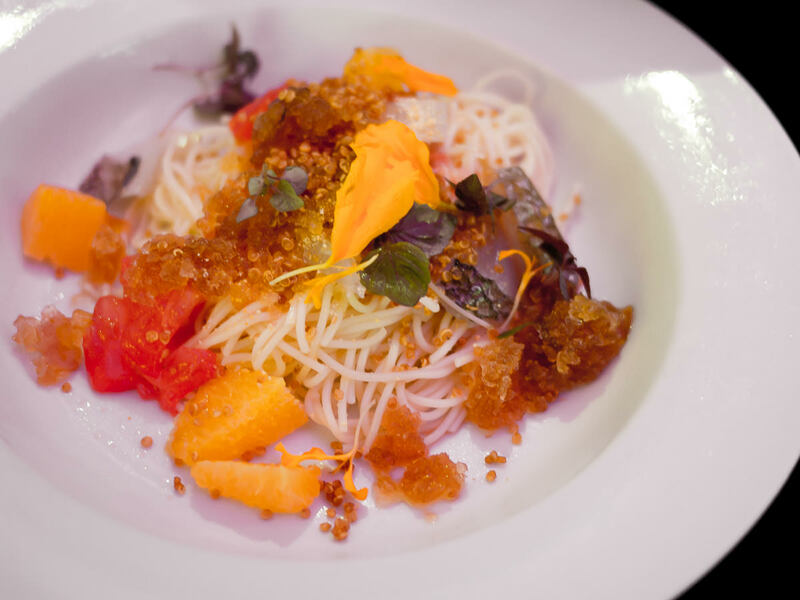 The chilled capellini pasta is seasoned with sesame oil, yuzu and horseradish jelly. Ponzu granita and deep-fried quinoa add interesting textures to the dish. I find the fish a little chewy, but everything else bursts with fresh, cool, clean flavours. The Rangers beef cheek has been cooked for 40 hours in Bass Phillip Pinot Noir and as per the old cliché, cuts like butter. The accompanying vegetables – turnip, carrot, beans and peas – are simple, tender and sweet. No knife is necessary. Dessert is a new take on two Singaporean favourites: kaya toast and teh tarik (pulled tea). Iggy’s kaya toast is a pillowy soft chunk of bread and butter pudding smeared with a layer of kaya (pandan coconut jam). 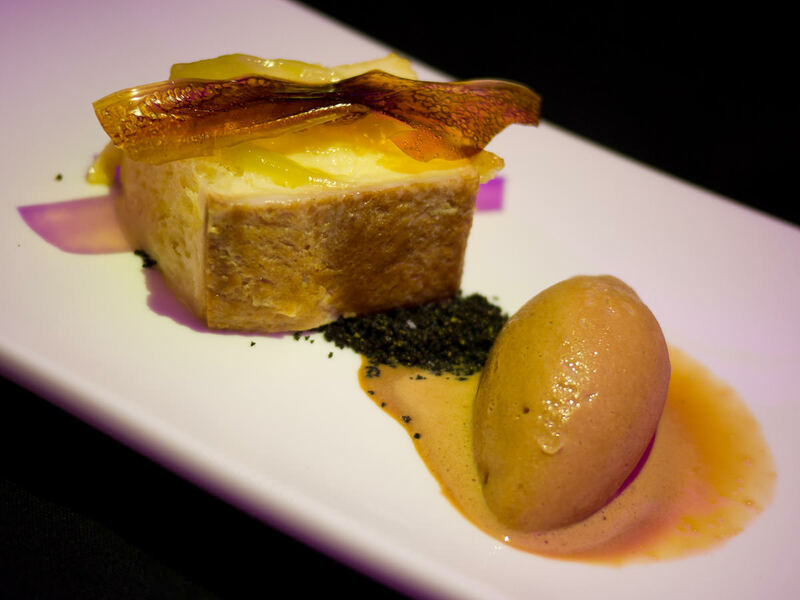 On the plate are three textures of tea: the teh tarik ice cream, with a strong tea flavour, as refreshing as the drink; a twisted tea-flavoured crisp; and black granules of crushed tea. I’ve been surprised by the meal delivered out of this travelling Singaporean kitchen; it was not at all what I expected, but it was intriguing and delicious. We give a hearty round of applause to the team from Iggy’s. This event has been very timely, for Jac and I are in the early stages of planning a holiday to Singapore to celebrate our 15-year anniversary. I’m now even more excited about “getting lost” in a quest to find the “real” Singapore! Any food/market recommendations or holiday tips from my Singaporean readers are most welcome! As we leave, we’re given goodie bags filled with Singaporean snacks and other items, including a fantastic book on Singaporean hawker food, The End of Char Kway Teow and other Hawker Mysteries by Singapore blogger Dr Leslie Tay of ieat, ishoot, ipost. I feel very lucky to have had the opportunity to experience Singapore Takeout. 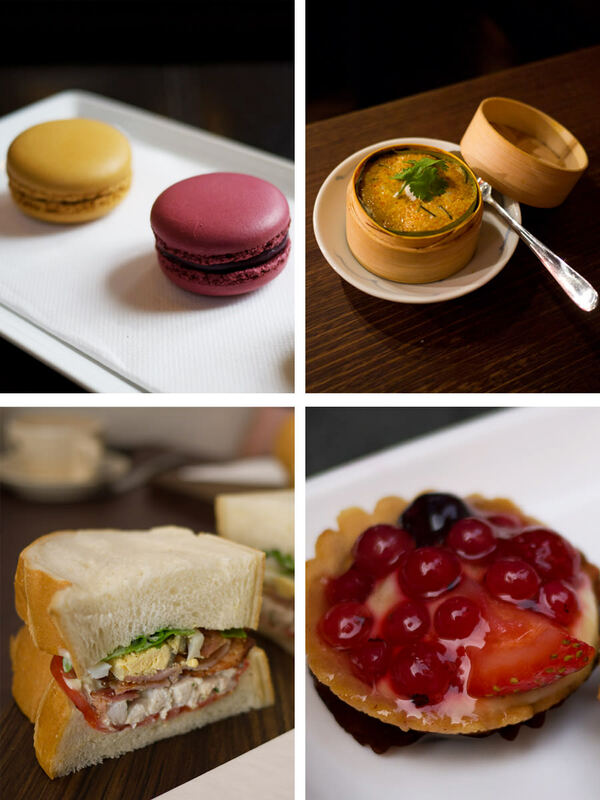 During the pop-up restaurant’s three-day stint in Sydney, there was a dining event for media; this bloggers event; and a special dinner for a lucky 30 people who gained invitations via random ballot. It’s a shame more people didn’t get the chance to taste Iggy’s food, especially that refreshing teh tarik ice cream. 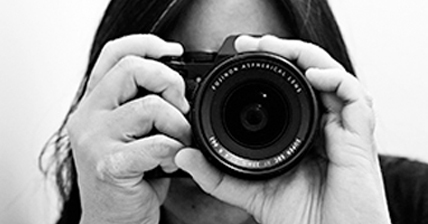 The Food Pornographer attended Singapore Takeout as a guest of the Singapore Tourism Board. 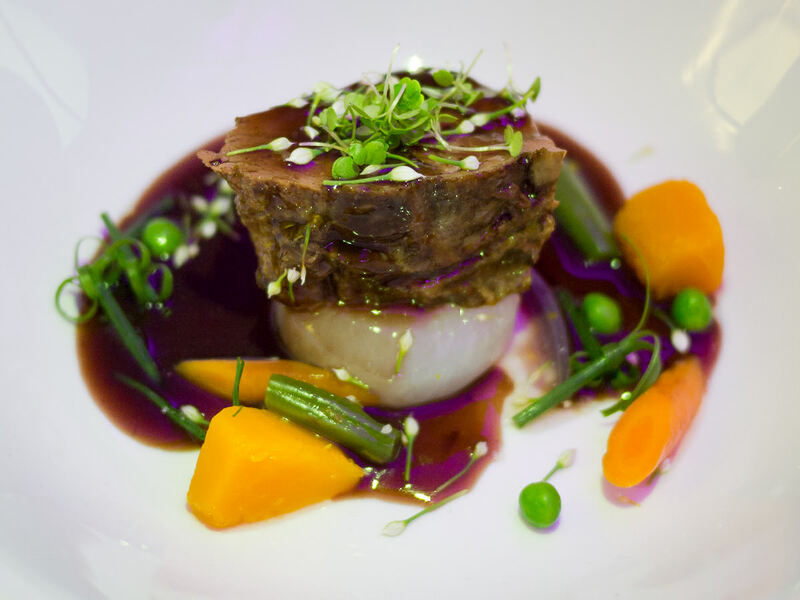 Apologies for the purple tinge to the food photos – we dined under purple lights which resulted in a fabulous party atmosphere and photographs that were quite challenging to work with. I was in Sydney for only a couple of nights but enjoyed some wonderful food. Here’s a sneak preview of the posts to come! Oh… and can you believe I still have posts to write from my November 2011 Sydney trip?